Diabetes refers to a disease that is characterised by high blood sugar levels. The blood sugar level is also termed as blood glucose level. The food & drinks we take in our body has glucose in it. This sugar is assimilated & absorbed by the blood in our body. Blood sugar refers to the amount of glucose being transported in the blood at a point of time. Blood sugar levels are different at different point of time in our body. For example, the blood sugar levels will be usually high after meals whereas low before meals. Our body breaks down the food into nutrients. In the same way, when we eat carbohydrate-rich food, it gets broken into sugar. After that, it is broken down into glucose which can be easily changed into energy for the body. This glucose is absorbed by the blood and is taken into the cells with the help of insulin. When the cells are not able to absorb sugar from the blood, blood sugar levels tend to rise. Thus, Insulin is a hormone which does the work of maintaining blood sugar levels. It is secreted by the pancreas and doesn’t let the sugar levels rise or get too low in the blood. When the body is unable to provide insulin to its cells, it is known as Diabetes, also called Diabetes Mellitus. In such cases of insulin deficiency, insulin is provided to the body through several methods, about which you can read here. Type 1 Diabetes- In this type of diabetes, the pancreatic beta cells get destroyed which prevents the production of insulin, leading to higher blood sugar levels. Individuals suffering from this type of diabetes need insulin injections for the processing of glucose. Type 2 Diabetes- In this type of diabetes, insulin is produced but not in adequate quantity. The amount of insulin produced is not sufficient for the body. Individuals suffering from this type of diabetes do not necessarily need insulin injections, as the need can be fulfilled with oral medications & food supplements. Gestational Diabetes- This type of diabetes usually affects females during pregnancy. In such cases of pregnancy, the baby may be larger than usual size. Such cases of diabetes occur when women already have high levels of glucose & their insulin production is not enough to transport glucose uniformly to all the cells. In order to catch hold of this disease, it is important to recognize the signs & symptoms caused by it. The symptoms are different for different types of diabetes. Research & studies suggest that there is no 100% possibility of curing type 1 or type 2 form of diabetes. Still, with some major changes in lifestyle, there are chances of treating this disease to a large extent. Well, there is always scope for a new research revealing that diabetes can be cured. One just needs to keep trying and get the result that seems impossible. 1. 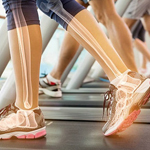 Exercise- Increasing weight can worsen the diabetes issue. It is important to exercise as it keeps the body fit & minimises the risk of diabetes. It controls calories and helps regulate the blood sugar levels. 2. Cutting down sugar- Refined sugar is bad for the body. It is because it raises the blood sugar level which is absolutely fatal in diabetes. To keep sugar levels in check, it is important to restrict the intake sugar in the body. 3. Adequate sleep- Adequate sleep is one of the most important factors that influence diabetes. When the body gets sufficient amount of sleep, proper functioning of organs is possible. Insulin functioning is also improved with the proper sleep. 4. More of fresh stuff- Eating fresh fruits & vegetables can keep the sugar levels in check. Healthy food is essential for the proper functioning of body & for maintaining calories, which results in proper sugar levels. 5. Careful with Carbohydrates- Carbohydrates when broken down, turn into glucose. This glucose raises the sugar levels in the body. In order to normalise sugar levels, we should be careful with the intake of carbohydrates in our body. 6. Insulin therapy- Type 1 diabetic patients should be provided insulin therapy. Proper insulin dose should be provided daily to normalise high sugar levels. This step should only be taken after consulting the doctor. 7. Monitor sugar levels- Patients suffering from diabetes must make a habit of tracking sugar levels. This serves as a reminder for them to control the sugar level. All those who are in a habit of munching snacks or drinks can control themselves after knowing that about their risen sugar levels. 8. Medical Help- Doctor’s expert advice is needed before taking any medicine for diabetes. In fact, whichever medications are suggested by the doctor should be strictly followed. Any deflect from the same can create other body issues. Diet plays a key role in the treatment of any disease. Same is the case with diabetes. The mindset of diabetic patients should be of minimising calories, preventing weight gain & opting for healthier options. Small changes in the dietary routine are capable of bringing better results. 1. Include omega-3 rich foods in the daily diet. 2. Eat a diet rich in green vegetables, pulses, & salads. 3. Include curd without sugar in your daily meal. 4. Drink lots of water daily without fail. 5. Include juices like neem juice, aloe vera juice for better health & fitness. 6. Include green tea into your daily routine. 7. Avoid fatty & oily foods. In the modern world where advanced medicines have failed to show good effects on diabetic patients, Ayurveda, the science of healing through herbs, has shown considerable healing effects on diabetic patients. After keeping such healing effects in mind, herbal nutritional supplements are regarded truly the best when it comes to diabetes. The effects of amla, turmeric, cinnamon, etc. are truly amazing and can relieve patients from many symptoms of diabetes. 1. 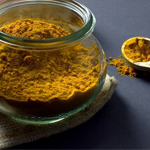 Increases Immunity- Turmeric activates the immunity enhancing antibodies in the human body. These antibodies protect the human system from pathogens & infections which helps in diabetes. 2. Weight Management- Increasing weight attracts diabetes to the body. Turmeric helps in better weight management which in turn helps in diabetes. 3. Insulin levels- Turmeric has the potential power of reversing the damage in cells which causes diabetes. 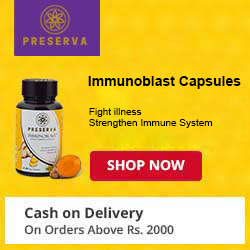 It targets the function of beta cells which helps in increasing the level of insulin. 4. Repairs Pancreatic cells- The cells damaged by the autoimmune system are repaired by the regular use of turmeric. Turmeric controls & manages the action of autoimmune cells which are responsible for the destruction of pancreatic cells. 5. Lower blood sugar level- The curcuminoids present in turmeric bring down the level of sugar by regulating insulin levels, reducing inflammation, & by regulating the use of glucose in the body. Turmeric is like a ray of hope in the hopeless state of diabetes. Use it along with other herbs and tackle diabetes in a much better way. Find the best quality supplements containing turmeric extracts along with exercise, medicines & good diet to make your body healthy & fit. Take Care!